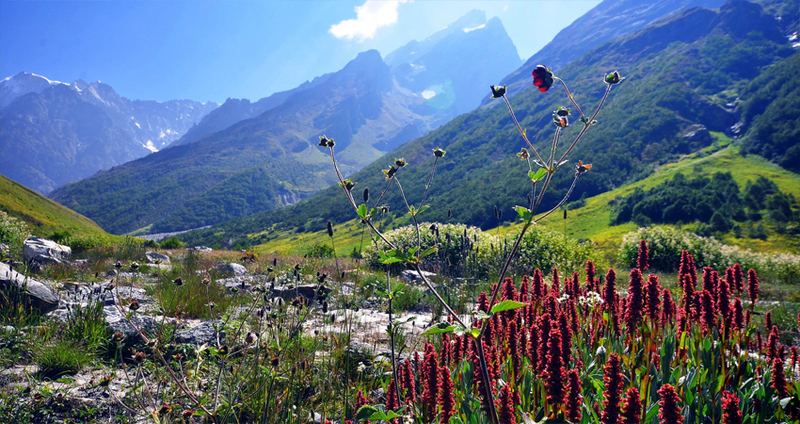 Valley of flowers is a land where some beautiful 520 floral species. Did you ever think of wandering amidst colorful flowers and grassy meadows? Then you have to visit Valley of flowers. Nestled in the high Himalayas of Chamoli district of Garwhal area in Uttarakhand, valley of flowers is exact to its name. It is an image ideal land of innumerable flowers that blossom during the year and creates a wonderful sight. These charming valleys stay hidden for quite a lot of centuries. Throughout winter season, the entire Valley of flowers lay frozen but as soon as summer season begins, the valley splashed with colors of various kinds of alpine flowers. In the monsoon of 1937, Valley of flowers has been exposed by Frank S. Smythe, who is a mountaineer, voyager and a botanist. He has as well written a book named "The Valley of Flowers" that unveils the floral splendors of the area. 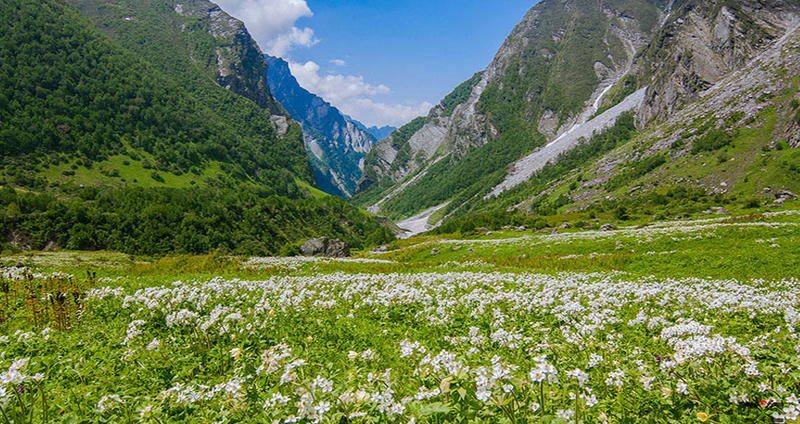 In the year 1982, "Valley of flowers" has achieved the position of National Park and also a Natural World Heritage Site because of its miscellaneous flora. Valley of flowers is a land where some good-looking 520 floral species like the Brahmakamal, the Blue Poppy and the Cobra Lily can be observed. This area is also scattered with abundant alpine flowers and home to uncommon wildlife species like the Asiatic black bear, Snow leopard, Brown bear, Musk Deer, Blue sheep and colorful butterflies. 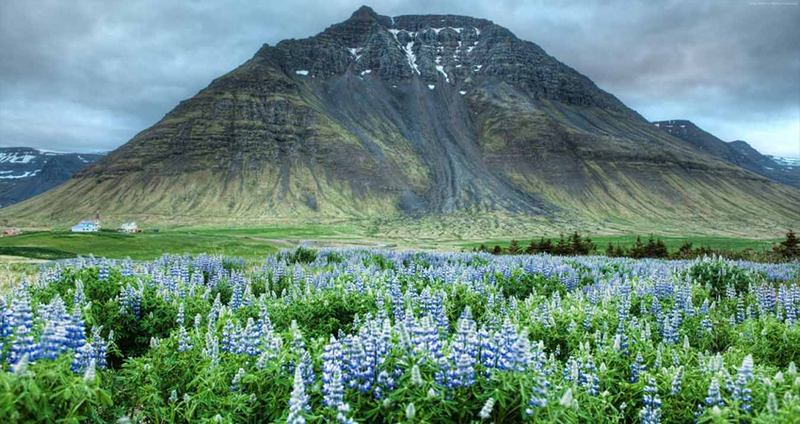 The best time to visit this interesting valley of flowers is from July to August. Throughout this summer time, the snow of the region started to melt and colorful flowers blossom. Valley of flower is a heaven for trekkers and photographers. It is the ultimate spot for trekking and photography. While traveling through the area, you can capture some fine-looking snaps as a memoir of your journey. At the side of the floral attractiveness of the area, this floral pasture is as well bounded by some interesting locales. 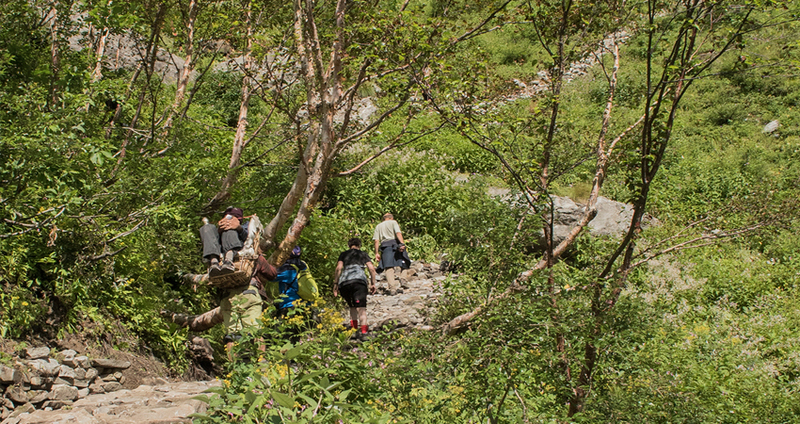 Some of the close by attractions to Valley of Flowers is Hemkund Sahib is a well-liked trekking and pilgrimage spot for Hindus and Sikh. It is just 15 km trek from Govindghat. A peaceful lake named Hemkund (4329) is as well positioned here. A religious Gurudwara and a Laxman temple is built very close to this lake which thronged by numerous pilgrims yearly. And another place to visit is Joshimath; it is one of the well-known pilgrimage places of Hindus in Uttarakhand. In 8th century, Adi Guru Shankaracharya has recognized Joshimath. Temples of Nav Durga and Narsingh are obtainable here. 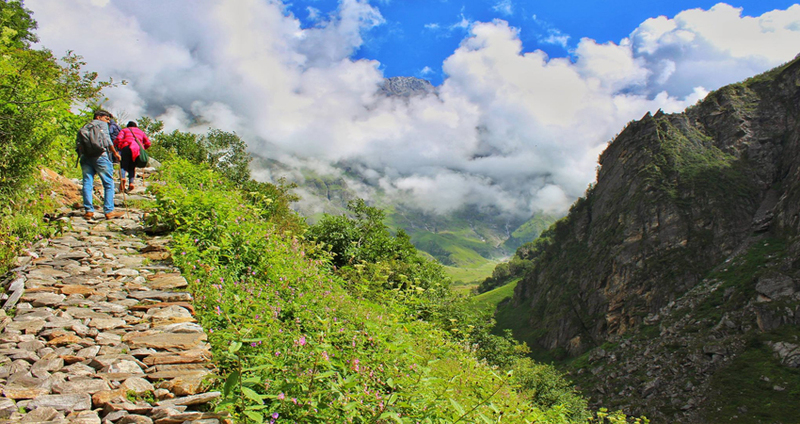 Joshimath as well serves as the base camp for trekking to Valley of flowers. From mid April to June temperatures are fair to cool (19 °C maximum). The Valley of Flowers as well has the temperature of an enclosed inner Himalayan valley, and is protected from the complete impact of the southwest summer monsoon by the Greater Himalaya range to its south. Utmost temperature in this area goes up to 17°C and least goes down to 7°C. This temperature is best to trek this high altitude valley. There is no accommodation at the valley and overnight stays are not allowed. Joshimath as well as Ghangharia have some state run lodges and guest houses which can be taken; also there are several hotels as well as private lodges available at Joshimath. By Road : There is no nonstop road linking to the Valley of Flowers. By Buses through well linked, motorable roads to Govindghat, the nearest bus stops, just about 12 km away from the actual site. By Train : The nearest Railway Station is Rishikesh at a distance of 276 kilometres. By Flight : The nearest Airport is Jolly Grant at a distance of 295 kilometres.